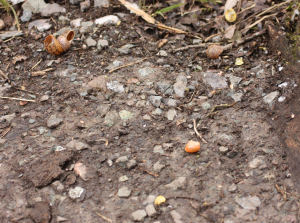 Observation - Thrush Snail Cracking Site - UK and Ireland. Description: Five broken snail shells on hard patch of gravel. Five broken snail shells on hard patch of gravel.